New Delhi (Sputnik) — Indian defense scientists have successfully conducted a pre-induction test of the country's longest-range nuke-capable surface-to-surface ballistic missile, Agni-V, from the Abdul Kalam defense base on the eastern coast of Odisha. The test was conducted at 9.53 am (Indian Standard Time) on Thursday. "The consecutive success of the canisterized version of the Agni V missile paves the way for initiation of its production and subsequent induction," a defense source told Sputnik. Defense officials say that in Thursday's launch, the missile followed its entire trajectory in a textbook manner, dropping three motors at predefined stages into the Bay of Bengal. Three warships — one in midrange and two at the target point tracked the missile and witnessed the final event. The missile had irked China when it was successfully test fired in December 2016. China said the test was against UN Security Council rules and that it threatened to disrupt the strategic geopolitical balance in South Asia. UN Security Council Resolution 1172, which was unanimously adopted in 1998 following nuclear tests by India and Pakistan, calls upon the two countries to cease development of ballistic missiles capable of delivering nuclear warheads. "Calling on India and Pakistan immediately to stop their nuclear-weapon development program, to cease development of ballistic missiles capable of delivering nuclear weapons and any further production of fissile material for nuclear weapons, the Council encouraged all States to prevent the export of equipment, materials or technology that could in any way assist their programs for nuclear weapons or for ballistic missiles capable of delivering such weapons," the resolution read. 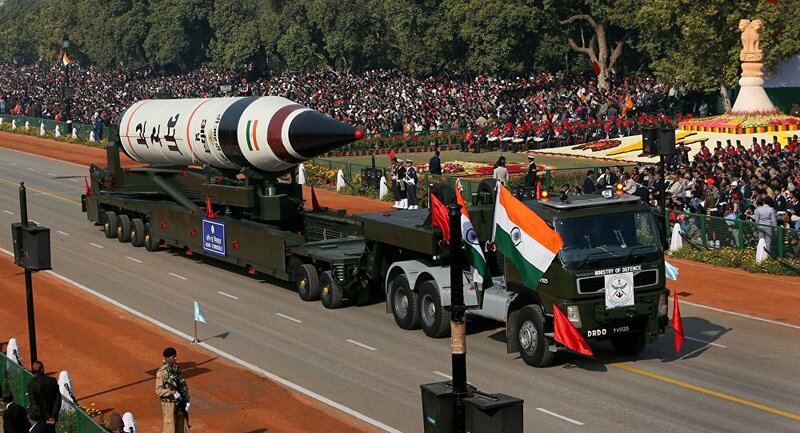 India's tri-service Strategic Forces Command has already inducted the missiles Agni-I, Agni-II and Agni-III and will soon induct Agni-IV and Agni-V. The Agni series of missiles has been developed by DRDO and is part India's expensive and time-consuming quest for an integrated guided missile defense system.